Heaven Is For Real: A Little Boy’s Astounding Story of His Trip to Heaven and Back. 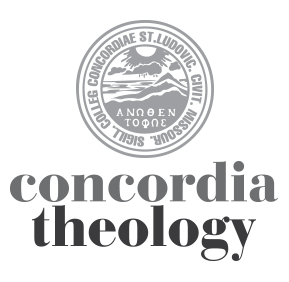 Reviewed by Dr. Jeff Gibbs, Concordia Seminary, St. Louis. Holding a copy of this book is a bit like drawing close to Mom or Apple Pie. It’s a bright yellow, easy-to-read paperback with a cute photo of a little boy on the front: “#1 New York Times Bestseller, Over Two Million Copies in Print.” It is a sincere account, in a Christian father’s first-person voice. Here’s a summary of its story. In an opening prologue, the reader learns that the family’s younger child (a son, Colton) recently almost died after an undiagnosed ruptured appendix. We also hear briefly the book’s main claim: this little boy made a trip to heaven, and has returned with reliable knowledge of what heaven is like. The story then flashes back in time to tell of earlier months for the Burpo family. Illness, stresses in ministry (Mr. Burpo is a Wesleyan pastor), and times of difficulty seemed to be over for the family. The story draws you in; you identify with the Burpos. It’s not hard to imagine being their friend. Colton’s illness then is described, and death looms. The family is in anguish; sincere, real anguish. Mercifully, the little boy lives, and the family seems to be out of the woods; even their medical bills shrink as Christians generously help. It’s a good story, and there is no reason to doubt its sincerity. Thus far chapters 1 to 11. In chapter 12-27, the book finally develops the claim that has turned it into a sensation. Gradually, the father’s voice tells how Colton’s statements about the afterlife lead him and his wife to conclude that their son has been in heaven, has seen Jesus and other people, and is now a reliable source of information, including new information that has not been revealed in Scripture (like the “fact” that the angel Gabriel sits on a throne on the left hand of God the Father, with Jesus enthroned on the right). In a brief epilogue, Rev. Burpo describes how the book came to be written, and how its title was chosen; Colton said, “I want them to know that heaven is for real.” And the book ends there. Many people will simply dismiss this book. That would be a mistake; we should only dismiss things that make no substantial claims, or that pose no real threats. Because of the claims made in this book, we should take it very seriously, and read it with our best Christian understanding and faith. For that reason, I have concluded that this book is seriously flawed, and offers little if any positive or lasting contribution to Christian understanding. In fact, there are aspects of the book which, if people accept and believe them, will distract readers from crucially important Biblical ways of thinking and living. I can offer three brief criticisms of this book. In doing so, I plead with my reader not to think that I am doubting the sincerity of the author or his family. But here is where this book misses the mark. In the first place, there is no effort to verify the book’s claims. Do not dismiss me as some secular skeptic! Consider that less than a week before I read Heaven is For Real, the world was hearing the story of John Paul II’s beatification by the Church of Rome. Part of this process (at which Lutherans look askance, of course) is required verification that a miracle was performed through the saintly mediation of John Paul II after his death. The Church of Rome takes this with great seriousness; it is too important not to do so. The church extensively investigates all purported miracles. Not surprisingly, they discover many obviously false (though perhaps sincere) claims. But this is the point: it is so important that they take it seriously, and they investigate all such claims with a kind of holy skepticism. By remarkable contrast, Heaven is For Real asks us to take the extraordinary claims put forward in the book at face value. In fact, the story is told so sincerely and with such genuine familial love that one feels almost guilty for asking for some sort of verifying investigation. These are, however, important matters! Remarkably, over and over Rev. Burpo validates some insight about “heaven” from his young son with the statement, “There’s no way he could have known that!” These matters are too important for that kind of approach. I am not questioning Burpo’s sincerity; the 8th Commandment demands that I conclude that he believes what he is writing. Nevertheless, as I read Heaven is For Real, I recalled the wise counsel of a veteran pastor from decades ago: When someone says they have had a spiritual experience, you never deny that something happened. But you always reserve the right to interpret it in light of Scripture. That brings me to my second Christian criticism. In this well-meaning narrative, Holy Scripture’s authority comes to be less important than the testimony of Colton Burpo. His father tells how he (and others) came to believe in God’s promises more strongly than ever before. But apparently, the testimony of the prophets and apostles and Christ himself in Scripture was not enough. The convictions that God hears the prayers of His Christians (p.84), that God helps his pastors with power when they preach (p.126), and that Christianity itself is true (p.130) are all established as certain through Colton’s testimony about heaven—how shaky a foundation for the saints of the Lord! In the third place, and most foundationally, this book wrongly assumes throughout that God’s purpose in sending His Son into the world to serve, suffer, die, and rise from the dead was so that when we die, we can “go to heaven.” To be sure, there is sufficient testimony in Scripture to say that when a believer dies, his soul goes to rest with Christ. But as every writing in the New Testament shows, Scripture reveals very little of what “heaven” is like, and (more importantly), “heaven” is not the great hope and promise of the Christian message at all! Rather, the return of Christ in glory is the time when God’s good work, begun in us, will come to completion (Phil 1:6), and the creation itself will be set free from decay into the glorious freedom bestowed on God’s children (Romans 8). The book actually narrates one grotesque example of what can logically happen when “dying and going to heaven” is made the greatest good. Young Colton has just articulated this view: “Jesus died on the cross so we could to see his Dad” (p.111). Several weeks later, when Rev. Burpo is trying to teach his son not to run out into traffic, he tells him, “You could die!” Colton smiled and replies, “Oh, good! That means I get to go back to heaven!” The father has no real answer, except to say that he wants to die first. In the reality created by this way of thinking, death is your best friend. In the reality created by the Apostle Paul, under the inspiration of the Holy Spirit, death is an evil invader, and the last enemy that the Lord Jesus will one day fully overthrow (1 Cor 15). Dr. Jeffrey Gibbs is Professor of Exegetical Theology at Concordia Seminary. He has authored several books on the Gospel of Matthew, including a nearly-completed three volume commentary. I am reading this book for CCD and school. I am thirteen and this book makes me belive of heaven and gives me a better understanding of heaven. Thank you very much for writing. I’m very glad that you are reading and thinking about these important things! Since you are in CCD, I know that you have also been thinking about and believing in the Creeds of the Church. One of the parts of the Creed that I like the best is when Christians say, “I look for the resurrection of the body, and the life of the world to come.” I hope that is a joyful part of your faith as well. The Lord be with you! Thanks very much for writing. I was not aware of who Akiane Kramarik (AK) is, or what sorts of ideas she espouses. You ask for a thought or two. Although it’s been a while, and although I am not a big fan of “Heaven is for Real” (as you know), I do recall that the book has a noteworthy emphasis on faith in Jesus as necessary for salvation. To be sure, it’s couched in terms such as “You have to ask Jesus into your heart.” But I do recall that the book itself, in its own way, upholds the uniqueness and necessity of Christ. On the other hand, once a connection is made with artwork by AK, then one can imagine a question such as, “How could she have known what Colter (supposedly) saw?” That sort of question is characteristic of the presentation of the book, sometimes offered as convincing truth of what is presented. So, that could possibly open the door into giving credibility to AK, and so by extension to her ideology and convictions. So–the book itself (as far as I recall) does not go down that road. But one has to admit that others might take it in that direction. Excellent! We’ll be looking for you! !